For a few years now, Lil’ Wayne has had something to prove. When he dropped Tha Carter III in mid-2008, his career was at its peak. He was seemingly featured on every rap song that received radio play, and he had already garnered tremendous buzz from hip-hop publications with his now classic mixtapes Dedication 2 and The Drought 3, and reached both a creative and critical apex. Since then, Weezy has had some trouble reestablishing himself—everyone remembers his unfortunate foray into rap-rock on 2009’s Rebirth. Admittedly, he’s released some excellent singles in the last five years, like Tha Carter IV’s “Six-Foot, Seven-Foot,” and “How to Love.” But is he capable of recapturing the consistency he once had? No Ceilings II is Wayne’s attempt to prove that he, indeed, can. But unfortunately, this mixtape falls victim to many of the pitfalls that have held Lil’ Wayne’s career back in recent years. Lil’ Wayne used to be the remix king. But on a mixtape that mostly features remixes, why is Wayne so lackluster? Most of the beats from Drake and Future’s recent surprise collaborative effort, What a Time to Be Alive, are present here. Weezy adds almost nothing new to these songs, never diverting from the formulaic method of freestyling over the beat, then slightly reworking the chorus (usually by changing a couple of words.) I audibly groaned in the library when I heard the words, “You used to call me on a jail phone” at the start of the “Hotline Bling” remix. Another culprit is the lazy chorus altering of his “Plastic Bag” remix: “Get a plastic bag/ throw it over his head and make him gag/ Go ahead, take a *****’s stash.” Is this really the best he could come up with? 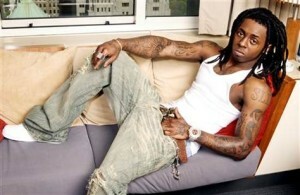 No Ceilings II greatly suffers from Wayne’s refusal to change. Riding recent trends, or copying from the likes of Drake, Future, Migos, or any of the other major trap contenders of 2015 may not be the solution, but Weezy does need to work on developing himself a little more. Rap has changed tremendously in the last few years, favoring more experimental beats, voices, and flows. His biggest problems are precisely the all-too-familiar flows, and the overdone auto-tune warbling he’s become known for. From “Destroyed” to his “Jumpman” remix, he continues to sound like a parody of himself; a less-sharp, less-clever, less-creative guy with lamer punchlines. It’s worth mentioning that many have accused Young Thug, 2015’s mixtape king, of “biting” Weezy’s sound in the last few years. But Thugger has arguably eclipsed Wayne at his own game, slowly becoming a zanier, more creative version of him. In 2013, people complained that Thugger sounded too much like Weezy. In 2015, I find myself comparing Weezy to Thugger. It’s amazing how fast rap music changes, and how quickly certain mainstream trends fade. It’s unfortunate, but Wayne has been steadily fading since Tha Carter III and no amount of skateboarding or guitar-playing has curbed that. Maybe one day he will have a true renaissance, but No Ceilings II shows no clear signs of that hopeful resurgence. yeeeesss some one post this to tune. the auto tune has got to go!! and get urself together man!